Certification: Lantra. 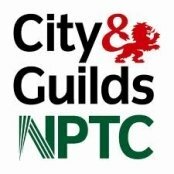 This does not include NPTC assessment only attendance. Day 1:State and identify the necessary personal protective equipment required, report on its condition and locate the various standard marks. State and identify required health and safety features on a chainsaw. Identify faults and defects on a chainsaw and cutting equipment, and decide which can be rectified by the operator and which requires the attention of a service engineer. Carry out correctly all routine maintenance in accordance with the manufacturer's instruction book and/or the Lantra workbook. Cross-cut timber accurately to required lengths. assess and explain the terms 'tension' and 'compression' in timber. Organize site safety and state the precautions required. Day 2: Identify types of timber, potential hazards and stresses, correctly assess if timber is in compression or tension, and select the appropriate technique to deal with the particular situation. Correctly assess the situation prior to free felling a straight open grown tree up to a maximum of 380mm diameter, and with the aid of wedges and/or a felling lever, fell it in a chosen direction. Remove limbs from felled trees and cross cut, handle and stack timber in a safe and efficient manner. Take down hung up trees using hand tools. Recognise situations where specialist help is required.